I hope you had a wonderful Christmas. If you’re attending New Year’s Eve or Day festivities and looking for a last minute host or hostess gift, try this recipe for homemade potpourri. It’s easy, economical, and fun! 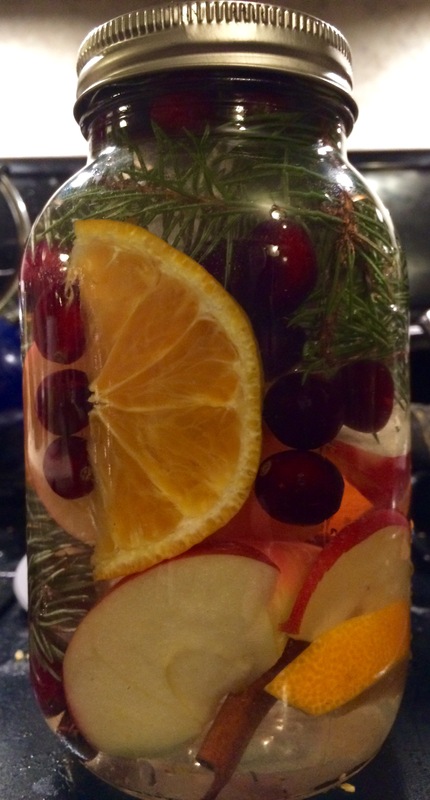 Put all ingredients into a mason jar, then fill the jar with water. That’s it! If you want to get fancy, you can decorate the jar with some ribbon or put a label on the lid. 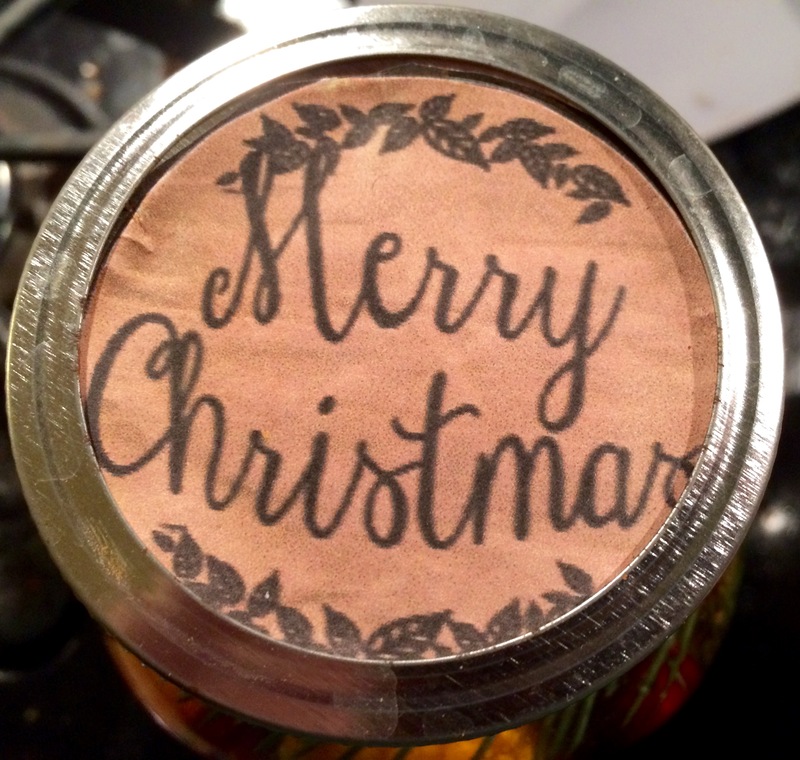 We made multiple jars to take to our family Christmas gatherings and used “Merry Christmas” labels on the lids. All the recipient has to do is dump the jar into a saucepan, bring to a boil on the stove top, and then simmer on low to fill the air with the fragrant smells of oranges, cranberries, apples, cinnamon, and pine. As the water boils off, more water can be added. We found this could be used about three times. Wishing you all a happy, safe, and blessed 2015 from The Chipper Writer!